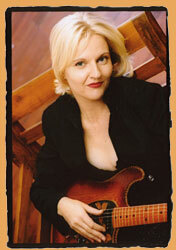 Debra Dicembre is one of Australia's premier vocal and songwriting talents. In the last 3 years Debra has released 2 CDs, He Hears Me and What You Are. She is presently recording her third. Her career began as a child singing Gospel in church. It wasn't long before she was recognised with the Australian Jazz Singer's award and began to tour with some of Australias best Jazz talent including Galapagos Duck, James Morrison, Tommy Emmanuel and Don Burrows. 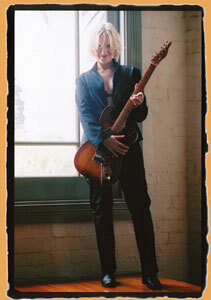 A prolific songwriter, Debra is always writing and recording her unique hybrid style of soulful pop/rock with just enough country and blues to keep the music earthed and raw. Debra has received 2 songwriting honours, 1st prize in the Unisong International Songwriters' Contest and was chosen by the ABC to record 6 original tunes for airplay in the Young Australian Writers Program. These 6 tunes opened the door for Debra to live and work in New York. Debra spent 3 years there, singing, writing and recording. As a live performer, Debra has a wealth of experience and as Marcia Hines said recently having caught some of Debra's show, "It's always a pleasure to hear such a great voice". Her many fans agree. Sensitive and strong, Debra's voice has that 'wow' quality, that you don't forget in a hurry.